RIM today announced their plan to lunch five new Blackberry Smartphones running the new powerful next generation Blackberry 7 OS: Torch 9810, Torch 9860, Torch 9850, Bold9900, and Bold 9930. The new Blackberry 7 OS features faster browser, HTML5 for video support, and smooth GUI. The next generation of Blackberry Smartphones will be available from different carriers around the world starting later this month. 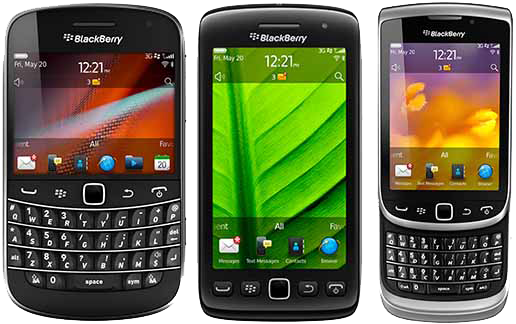 I love both iPhone & BB ;) each has it own benefits & specifications.